You can look up your family court case online by visiting Clark County Courts Records Inquiry. From that page, click on “Family Records.” You will then be able to search public family records by case number or by a party’s name. Enter the full case number, or the party name as it appears on court documents. If you are unsure of how to spell a party’s name, check the box that says “soundex” and the system will expand the search to names that sound like the one you are searching for. Some family court cases are “sealed” and not accessible to the public. If you have a sealed case, you will not be able to view any information about the case through the court’s case look up service. You will need to come to the courthouse with your photo ID and have a clerk look up the case for you. The Clerk of Court can provide you with copies of documents from your case, and can provide you with a video or transcript from a hearing. To obtain copies of documents, please visit the Clerk of Court Records page. From that page, you can download a "copy request" form indicating what documents you would like. The form can be submitted in person at the Family Court or by mail to 601 N. Pecos Rd, Las Vegas, NV 89101. There is a fee of $0.50/page. Adoption records cannot be accessed without a court order. If you need copies of documents from an adoption case, you can download the Petition to Unseal Adoption Packet (pdf) which includes all of the instructions and forms needed to get court approval to access the records. To obtain a video from a court hearing, please visit the Transcript Video Services page. From there, you can download a form to order a video from a hearing. Costs depend on how many hearings you are requesting and whether you want the video on a CD, VHS, or a memory stick. Requests can be made in person or by mail. To obtain a written transcript from a court hearing, please visit the Transcript Video Services page. There you will find a form to get an estimate for the cost of the written transcript. Prices vary depending on the length of the hearing. Requests can be made in person, by mail, or by fax. There are ten district courts in Nevada. These are the courts where family, juvenile, criminal, and civil matters are generally resolved through arbitration, mediation, and bench or jury trials. 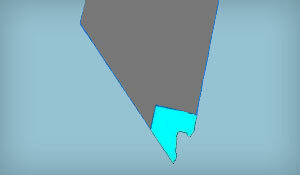 The district court that has jurisdiction over Clark County, Nevada, is the Eighth Judicial District Court. The Family Division presides over family and juvenile cases in Clark County. Most family court judges are located at the Family Courts and Services Center, but some judges have their chambers and courtrooms at the Regional Justice Center. Make sure you know which courthouse your judge is located in before going to a hearing. Currently, cases assigned to Department H, Department M, and Department S are heard at the Regional Justice Center. You can visit the court's website to get more information about the court and its hours of operation, judges, and the like. To look up your district court case, visit Lookup My Case. 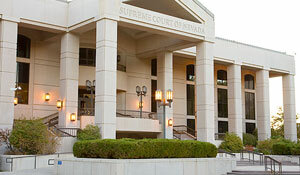 Court procedure in the district courts is governed by the Nevada Rules of Civil Procedure. In Clark County, court procedure is also governed by the Eighth Judicial District Court Rules.